This is a review on benthic algae from streams situated above the tree line in the Alps. It integrates published and unpublished data from alpine streams in Austria and in the Trento Province (Northern Italy). The main focus is on the structural and taxonomic composition of benthic algae including macro- and micro-algae and their contribution to the epilithic biofilm and the stream food-web. The environmental conditions relevant to algae within the two major stream types, the glacial (glacier-fed) and non-glacial krenal (spring-fed) stream are discussed. 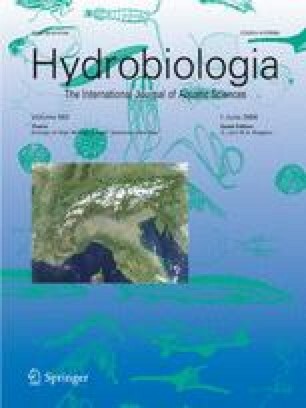 The paper considers both the maximum possible structural complexity of transverse algae zonation in cascading alpine/subalpine stream segments, and the effects of glacial water on species richness in the Central Alps in Austria. Autecological data are given for 46 common diatoms from 42 sites in the Central Eastern and Southern Central Alps and for 30 algae in addition to diatoms for 22 streams in the Central Eastern Alps. Since data on responses of benthic algae to the harsh conditions in high altitude Alpine streams are very scarce, results from literature and the author’s experiences from these and other mountain stream types are synthesized to formulate major objectives for future research in benthic high altitude Alpine stream ecology.